A cartoon from the 1850s published in response to the trial of Ann Merritt who was accused of poisoning her husband with arsenic. 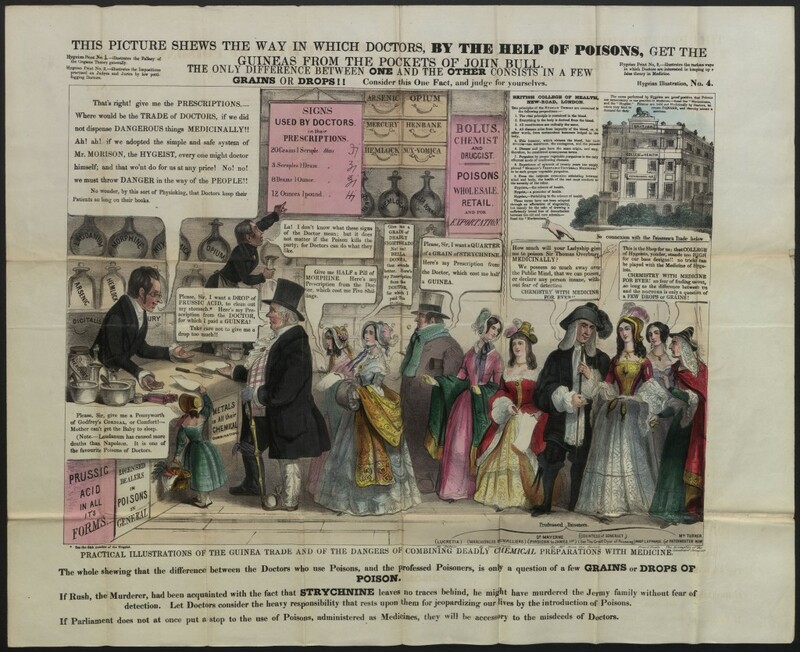 The cartoon illustrates the vast array of easily obtained poisons in a nineteenth century pharmacy. In the queue are infamous men and women of substance who were thought guilty of poisoning, including the 17th Century Countess of Somerset and Lucretia Borgia. Ann, aged 31 and with three children, claimed she had purchased the arsenic in order to take her own life as her life with her drunken husband was a miserable one. She had many supporters and there are dozens of petitions witnessing her good character. Opinion however was divided and Ann was sentenced to death. However her sentence was commuted to transportation for life to Australia. She sailed on the Emma Eugenia on the 25th October 1850 to Van Diemen’s Land (Tasmania). Ann reached Tasmania on 7th March 1851, and married John Shipley on 19 July 1852.